Stephanie Carvin is an Assistant Professor of International Relations at the Norman Paterson School of International Affairs. Her research interests are in the area of international law, security, terrorism and technology. Currently, she is teaching in the areas of critical infrastructure protection, technology and warfare and foreign policy. 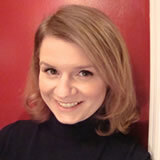 Stephanie holds a PhD from the London School of Economics and published her thesis as Prisoners of America’s Wars: From the Early Republic to Guantanamo (Columbia/Hurst, 2010). Her most recent book is Science, Law, Liberalism and the American Way of Warfare: The Quest for Humanity in Conflict” (Cambridge, 2015) co-authored with Michael J. Williams. In 2009 Carvin was a Visiting Scholar at George Washington University Law School and worked as a consultant to the US Department of Defense Law of War Working Group. From 2012-2015, she was an analyst with the Government of Canada focusing on national security issues.